The Slazenger Jumper, as you know, has a huge history behind his back. In fact, the history is what make unique the garment. Our main source of inspiration is the beautiful sporting histories where Slazenger has been present. All our pieces have a story, or are part of a story. We believe this is what gives life to a piece. Having this in mind, we create garments with a balanced fusion of retro and all-time aesthetic. Clean, uncluttered lines that redefine the old and make it new. However our best retro jumpers have been and always will be James Jumper – Burgundy and Navy Blue Golf Jumper – Seve, our legends. 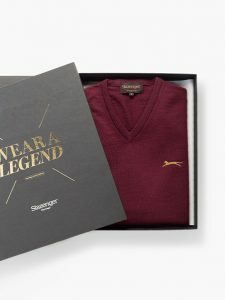 The “Legend” Jumper by Slazenger Heritage, is considerated the 007 of the Sweaters because it was produced to commemorate the 50th anniversary of the the most famous secret service agent of the cinema, with license to kill. 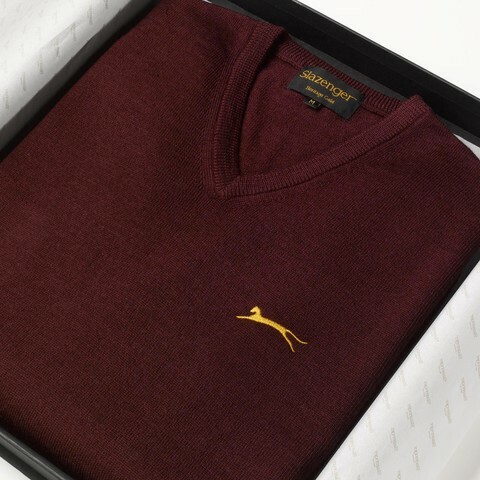 The Slazenger Burgundy Golf Jumper is a genuine heritage sweater made from superfine two-fold (2/44) Merino wool yarn to create a unique knitted garment. Sweaters made from Merino wool, are soft, have excellent fluidity, and are breathable, comfortable to wear, have great stretch recovery properties and excellent wear performance. 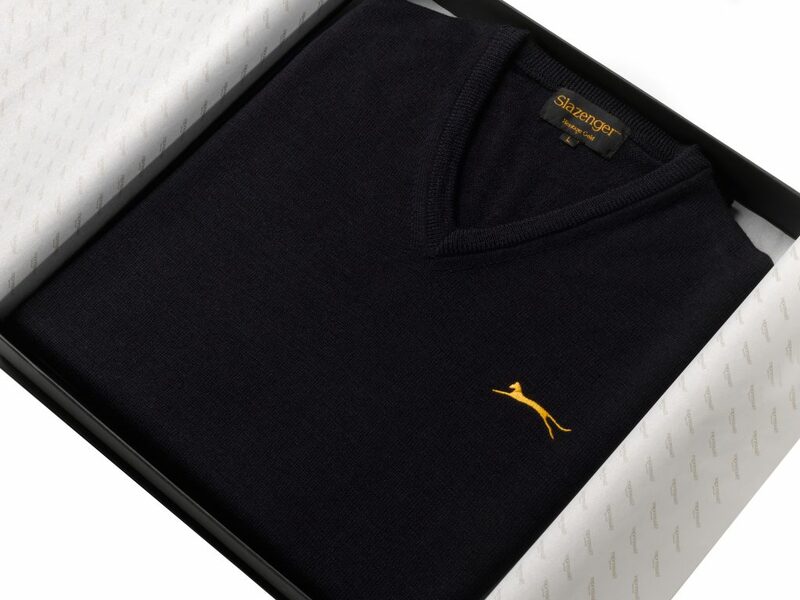 Slazenger Navy Blue Golf Jumper was inspired in the most famous Spanish golfer, The Greater Winner, Seve Ballesteros. Holder of one of the best palmares in the history of golf and is considered as one of the best European players in history. 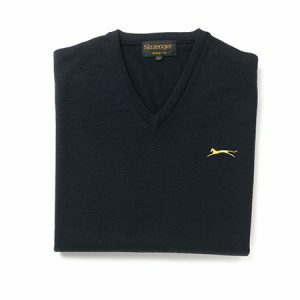 He wore the renowned navy-blue version of the fabled Slazenger Heritage v-neck. The Merino wool fibre is also natural, biodegradable and renewable. Merino wool is an excellent fibre for producing sweaters, as it not only offers breathability, but has natural stretch and recovery, great drape and outstanding wear performance. We proudly make pieces which continues to remind the unique recognizable aesthetic of all these legends for those who are lovers of grass sports.